Citations or Business Listing is a web profile that includes your Business Name, Address, Phone Number, category, Website Link, description and other details. Businesses can be categorized by business, location, activity, or size. it is a very important task in search engine optimization. 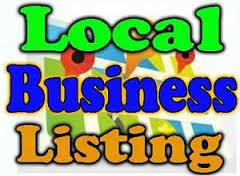 It's helped to boost your website ranking and local search visibility in search results. After done work will give you complete report with 30 live links & login detail then you can update listing anytime.